With the Palestinian leadership threatening to walk, Walter Russell Mead breaks down the president’s mistakes—and how we can get the peace process going again. The Obama administration’s attempt to relaunch the Middle East peace process isn’t just dead. The decomposing corpse is stinking up the room. The president’s personal prestige has been dinged—in the Arab world, in Israel, and in Europe and beyond. He has undercut his core strategy of reaching out to the Arab and Muslim world by showing a new, more “even-handed” American policy in this bitter dispute. There was nothing more predictable than this embarrassing and damaging public flop. The administration dug a hole for itself and jumped merrily in. Four things went wrong, one after the other. First, Obama made what Arabs heard as a promise: that he was going to get Israel to stop all construction in all settlements in both the West Bank and East Jerusalem. This was rash and wrong; there is no way the Israeli government would accept this condition of its own free will—and Obama lacks the power to force this deal down Israel’s throat. Second, Israeli Prime Minister Benjamin Netanyahu refused to cash the check Obama rashly wrote. He declined to accept the full construction freeze that the president wanted. Third, the Arab world then refused to help Obama by making some concessions to Israel in exchange for the partial freeze Israel proposed. Finally, in those conditions, Muhammad Abbas, a weak leader of an even weaker proto-state (the Palestinian Authority), threatened to throw in the towel, saying that he can’t carry on anymore under these conditions. Worst case for the Americans: Hamas wins another election on the West Bank. That is more likely now in the wake of Obama’s failure than it was last spring, and it would make everything in the Middle East even harder. The administration’s initial mistake was easy to make. Almost everyone underestimates the ability of small powers to blow off their larger, more powerful allies—and to get away with it scot-free. Look at Karzai in Afghanistan, or Maliki in Iraq. Without American troops and American money, both these guys would be living in exile paying through the nose for security guards; as it is, both men thumb their noses at American diplomats whenever it suits them. Even tiny little Honduras handed Obama his hat, rejecting his well-intentioned though poorly designed compromise. It’s not just Americans who can’t keep their Mini-Me allies in line. Eight hundred thousand Greek Cypriots gave the other 26 member states of the European Union the raspberry when they rejected a solution to the Cyprus crisis blessed by Turkey, Greece, and the EU in 2004. Isolated, starving North Korea defies China—its only friend and protector—whenever it wakes up on the wrong side of the bed. Zimbabwe scoffs at South African pressure; Bolivia yanks Brazil’s chain. “I will shake my little finger and Tito will fall,” said Joe Stalin in 1948. Stalin shook fingers and his fists and he stamped his feet; he screamed and he sanctioned and tried everything he could think of, but Tito still ruled Belgrade 30 years after Stalin died. Not only did the administration fail to take note of this general fact in international life; it ignored the special case of American-Israeli relations. American public opinion strongly prefers a pro-Israel foreign policy to any other available option; mindful of this, Congress just isn’t going to let an American president do anything drastic. Israeli prime ministers read the opinion polls. They know the rules of the game. Now Arabs—and Europeans—look at Obama’s failure to extract a complete construction freeze from Netanyahu and they jump to one of two possible conclusions: The American president must be either cynical or weak. Either he was cynically trying to court the Arabs, yet again, with more empty promises and empty words, or he sincerely wants Israel to stop all settlement activity, but is too weak to deliver. The question for many Arabs now will be whether Obama is “a tool of the Jews” (in much of the Middle East, Jews are widely assumed to control American foreign policy and the media) or their victim. In Europe, they will ask similar questions, though with much more sophistication and nuance. The whole situation is a godsend for Arab leaders who don’t want to break with the United States—but worry about public unrest if they make concessions to Israel. Now they can tell Obama that if Israel accepts his proposal they will move forward also. They know Israel won’t accept his proposal; this gives them a perfect excuse for refusing to take difficult and costly steps for peace. Loudly, they curse Netanyahu’s intransigence in public; quietly, they toast him at home. Besides the United States, Abbas and the Palestinian moderates are the real losers. Obama’s failure to extract the construction freeze from Netanyahu makes it almost impossible for Palestinian leaders to engage in serious peace talks. Abbas’ (rumored) threats to resign and (public) promises not to run for reelection the next time Palestinians vote may be partly an expression of genuine personal frustration and despair. But threatening to resign is also about the only move he can make that keeps him out of trouble with both the Americans and the Palestinian street. The Americans must now beg him to stay on; his threats to leave, meanwhile, show the Palestinians that he shares their frustration and feels their pain. We do what the United States has been doing in the Middle East since the British gave up on settling the Arab-Israel dispute back in 1947. We bury the old plan and bring out something new. Here’s my two cents: The United States needs to try getting “out of the box” on Middle East peace. The core problem we face is that the two-state solution based on the 1967 borders with some minor modifications leaves too many Palestinians out in the cold. West Bankers who still have their original houses and land might be willing to settle for the two-state solution (the original West Bankers and East Jerusalemite notables usually tend toward the moderate wing of the Palestinian movement). Refugees huddled in miserable camps (especially in Gaza, a desert with no resources or discernable prospects for economic development) are less enthusiastic. For exiled Palestinians, whether in Lebanon, Syria, or the broader diaspora, the right of return to an overpopulated, violent, and poor homeland is not very attractive—nor do crowded Palestinians in Gaza and the West Bank look forward to welcoming hundreds of thousands of “foreign” Palestinians into their camps. Israeli leaders are not stupid, and they know this. They know that even if some Palestinians sign a peace treaty with Israel, violent resistence will continue. Look at what happened in Northern Ireland. Eighty years after partition, bombs still sometimes go off in Belfast. Israeli leaders aren’t enthusiastic about making territorial concessions that, in the end, won’t bring them the kind of security they crave. Many Israelis, including Israeli voters, believe that a two-state solution is desirable in theory, but won’t work in practice because there isn’t a partner—a Palestinian government that can not only sign the peace but enforce it against the inevitable radicals and extremists that are sure to pop up on the Palestinian side. Washington needs to figure out how to make the deal work better for Palestinians. This can’t be about land or the right of return. There isn’t any more land to divide, and there isn’t any room in pre-1967 Israel for the descendants of the Palestinians who fled more than 50 years ago. That cake is baked, that ship has sailed. So what else can we put on the table? Inevitably the answers come down to two things: dignity and money. That’s what Palestinian moderates need to produce in order to make the two-state solution something that Palestinians can not only accept, but fight their own radicals to enforce and make stick. Working with our friends and allies in Europe, Asia and the Middle East, the United States needs to take the lead in developing workable and dignified solutions to the concrete problems Palestinians face—not as a substitute or distraction from the negotiating process between the two sides, but as a way to energize it and make both sides more willing and able to make the tough choices they both know lie ahead. President Obama’s credibility may have been dinged by this mishap, but he still has the stature and the authority to reboot. Instead of trying and failing to force Israel to do things he now knows it won’t do, he needs to start looking at creative ways to help Palestinians get more of what they want and need to build a sustainable peace. No American leader in our history is better positioned than President Obama to start this process, and trying something new and different may be his best hope to ensure that the next time the Nobel Committee gives him a medal, it will be for services rendered, not pie in the sky. 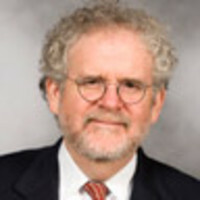 Mead is the Henry A. Kissinger Senior Fellow for U.S. Foreign Policy at the Council on Foreign Relations and the author of God and Gold: Britain, America, and the Making of the Modern World. He writes a blog at The American Interest.